Learning about the United States in History? Learning about the different mountain ranges in Science? Studying types of poems in Language Arts? Historic songs in Music class? 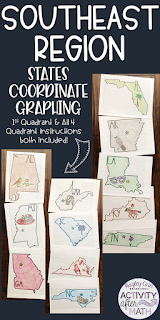 Graphing in Math? We all want to incorporate other content areas with the one that we teach. In secondary classrooms, it can feel extremely difficult to plan big units that have standards tied together from all four subjects (or more!). 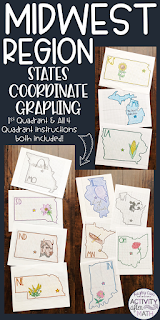 I love to create coordinate graphing mystery pictures and I have a really fun and easy way to integrate all the subject areas with each other. 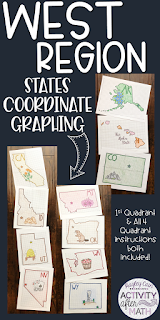 For each state students will graph points on a coordinate plane and it creates an outline of the State. There is also a star on the state Capital and the state’s abbreviation. The clever title of the state’s nickname gives them a clue to what the picture will be. The points include ordered pairs with decimals such as (10, 4.5) and (-0.5, 1.75). –A colored example of the finished picture. –Student Instructions with the ordered pairs. –A graph with the numbers and x- and y-axis labeled. –A graph with the fractional grid lines labeled as well. It is easy to print the points on one side and the graph on the back side to save paper! 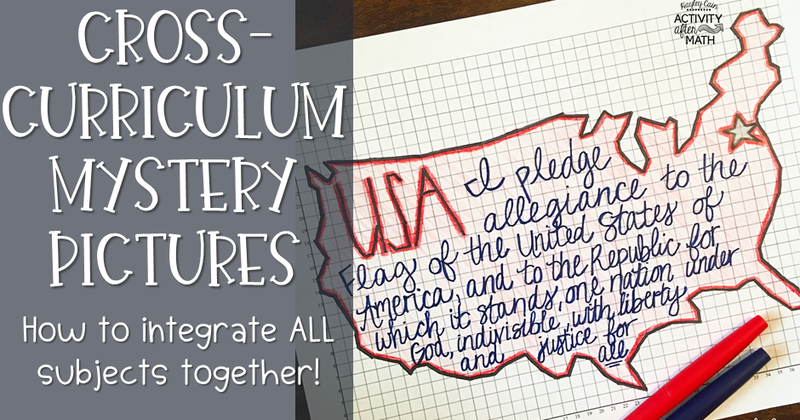 This is a great beginning of the year activity, End of the Year, Substitute, “filler days”, early finisher activity, and anchor activity! This is hand drawn, not computer generated, so the points graphed work out exactly as the picture looks! 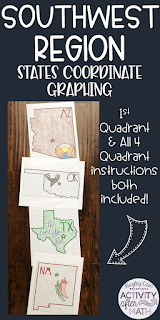 Students could graph the ordered pairs in Math class and take it with them to their other classes to continue the integration. In Language Arts, the students could write a poem about what they have learned in their History class. The students could use the outline of their Mystery Picture, they have graphed in their Math class, as a template for their poems. Students may be studying about historic songs and their backgrounds in music class and learning about poems in Language Arts. The States have been bundled into the FIVE REGIONS as well as one GIANT bundle of ALL 50 States. Click each picture below to check out the different options! Click here to see all 50 States in a list format. 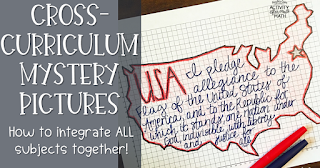 I hope you and your students enjoy them as much as I enjoyed creating them! 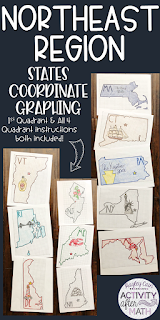 I’d love to see pictures of your students’ work! You can email me at activityaftermath@gmail.com or tag me on Instagram @activityaftermath.